Everyone in the Muse universe is an artist someway, somehow—from elementary students to alumni to their families to their teachers. This time, we have a great story for you about a Muse teacher. Actually, she has a story for you. If you’re not already familiar with The Moth, it is a Peabody Award-winning public radio program, featuring true short stories told live by famous figures (celebrities, authors, etc.) and community storytellers in front of an audience. Stories are funny, moving and always engaging. Because of its world-wide reputation, a great many people approach The Moth with stories but only a few are selected. Sarah Bunger was an outstanding Muse teacher at Miamisburg High School prior to relocating and she now teaches at the Latin School of Chicago. 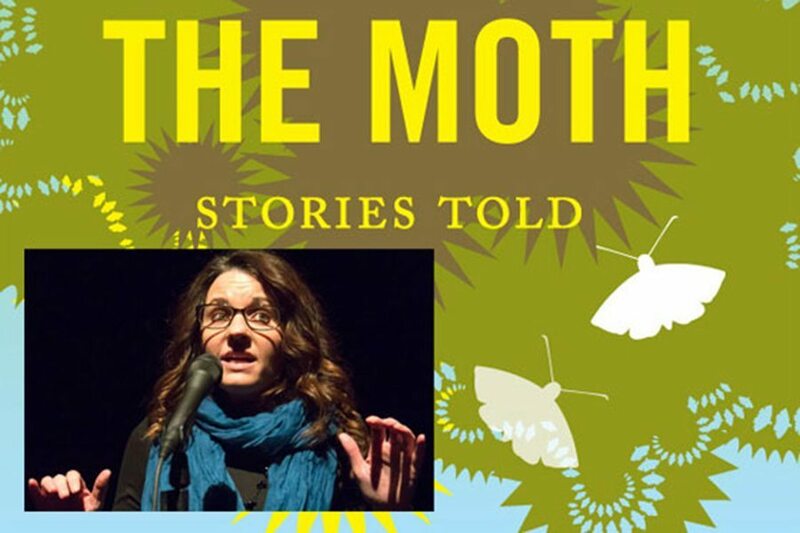 Sarah is featured on an upcoming episode of The Moth, telling her story, “About Your Mother,” and you can hear it online now before it airs on your local NPR station! Please note: the story, which is both sweet and funny and about seven minutes long, contains mild, comedic “racy” content.